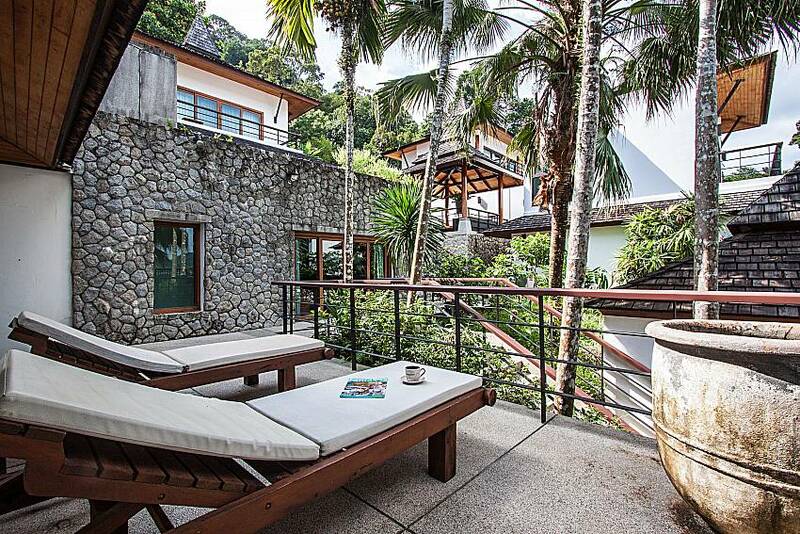 Welcome to the embodiment of sheer tropical bliss! 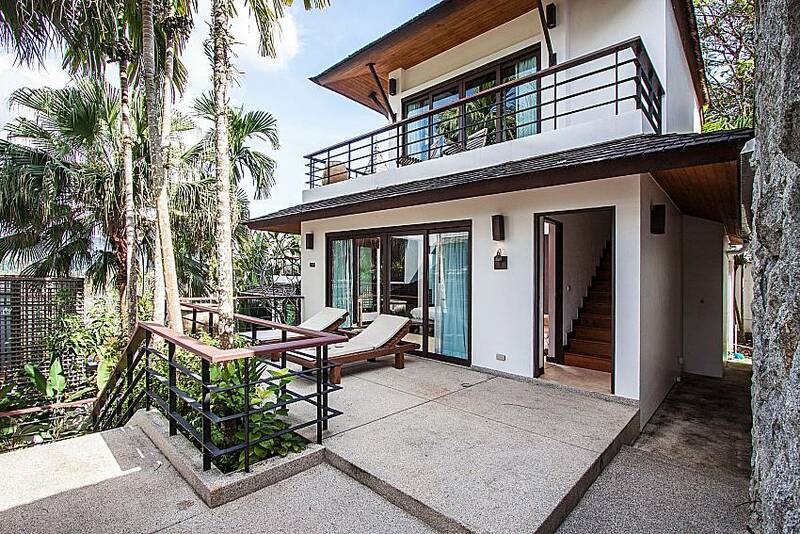 This 2-bedroom villa with a hill view offers all the modern comforts while keeping the rustic natural feel to it. 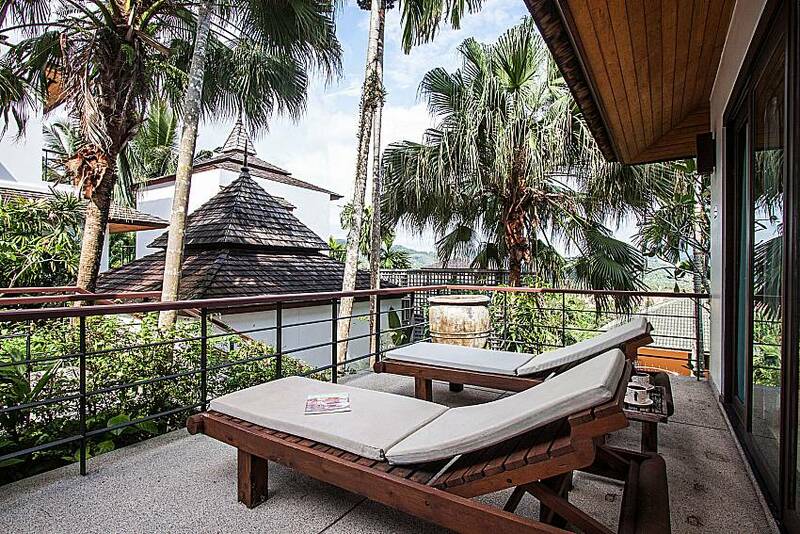 If you are looking for a place to quietly unwind while remaining close to Phuket’s action-packed sites, this is where you want to be. 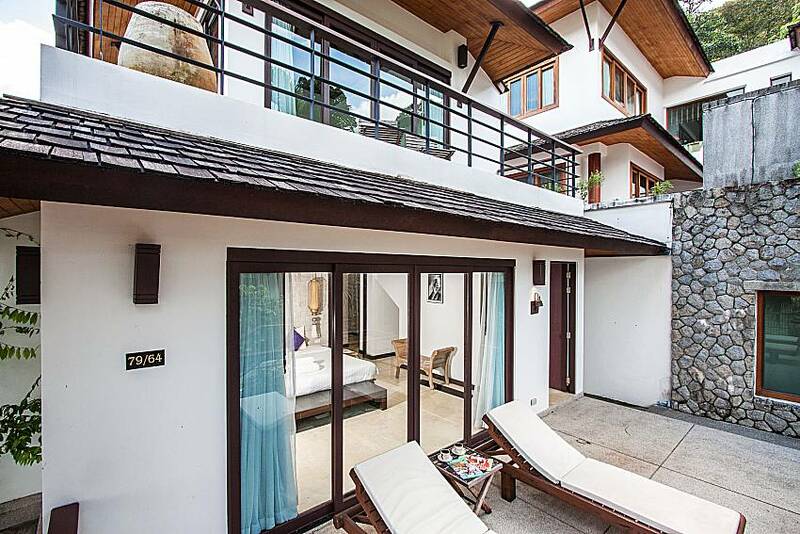 With a bit of an elevation that provides dazzling views over nearby hillsides and golf courses, this modern and noiseless estate will satisfy even the pickiest travellers. 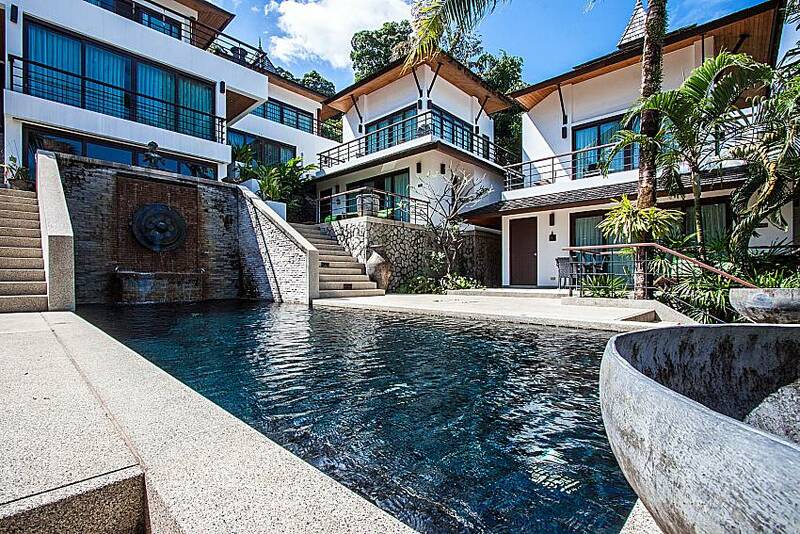 On site features include two great swimming pools with loungers and a Thai Sala, glass-walled gymnasium and a massage room. 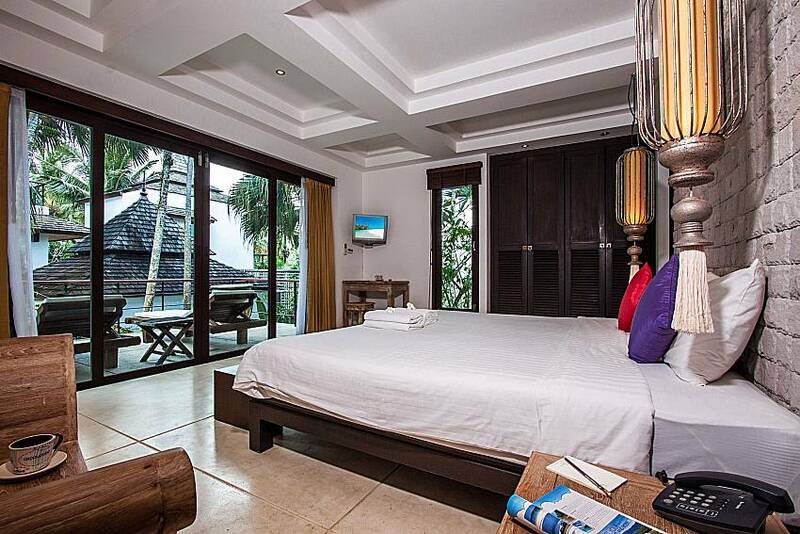 The estate also offers a wide range of services, such as daily cleaning, 24 hour security and excursions/watersports recommendations. 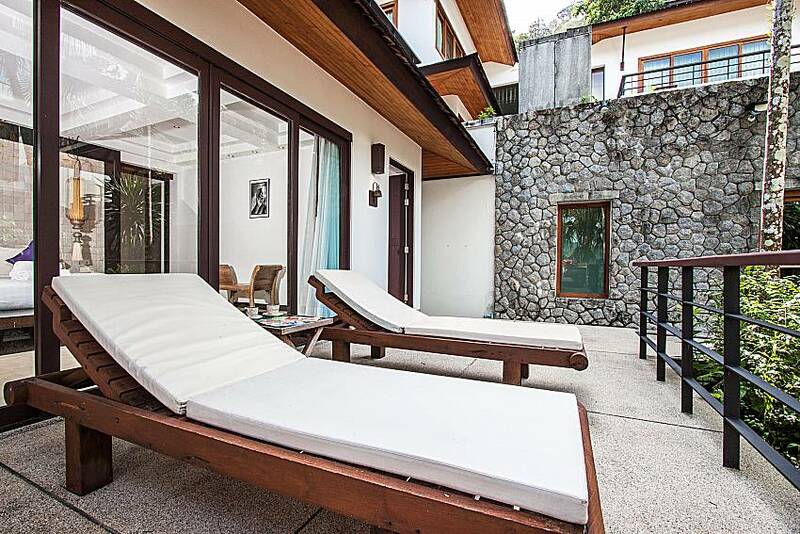 As you come up 2 sets of stairs to reach the villa’s entrance, first you will notice a terrace with 2 sunbeds and a small table for drinks. 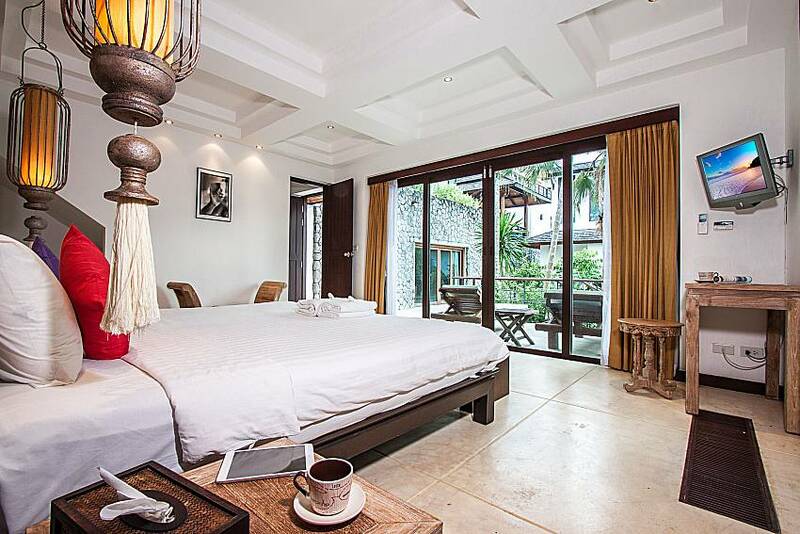 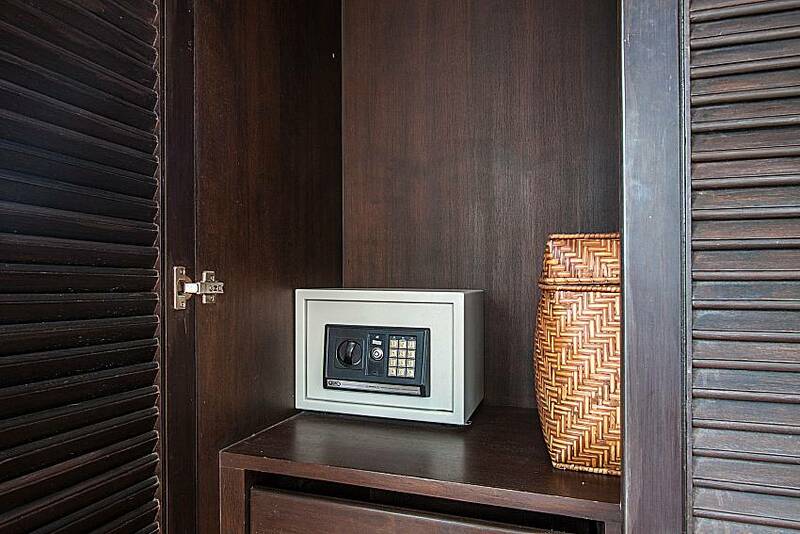 Inside is the master bedroom that boasts a stylish sand stone wall with lamps and high quality wooden furniture. 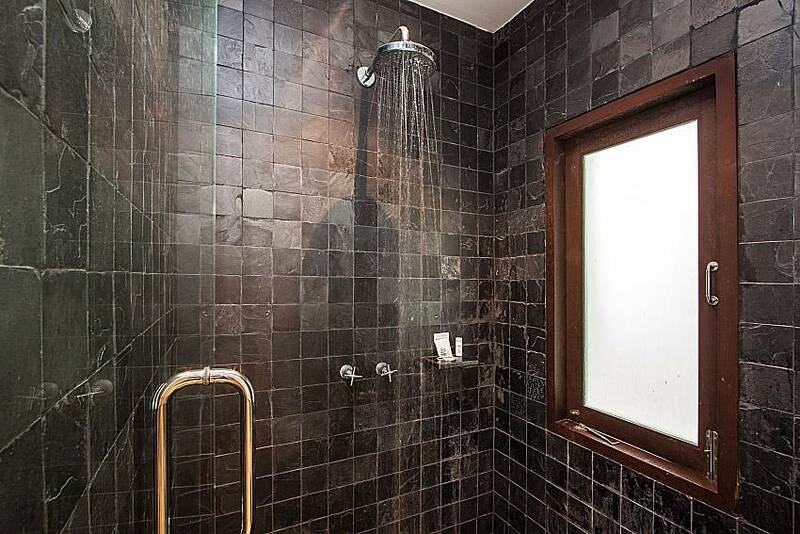 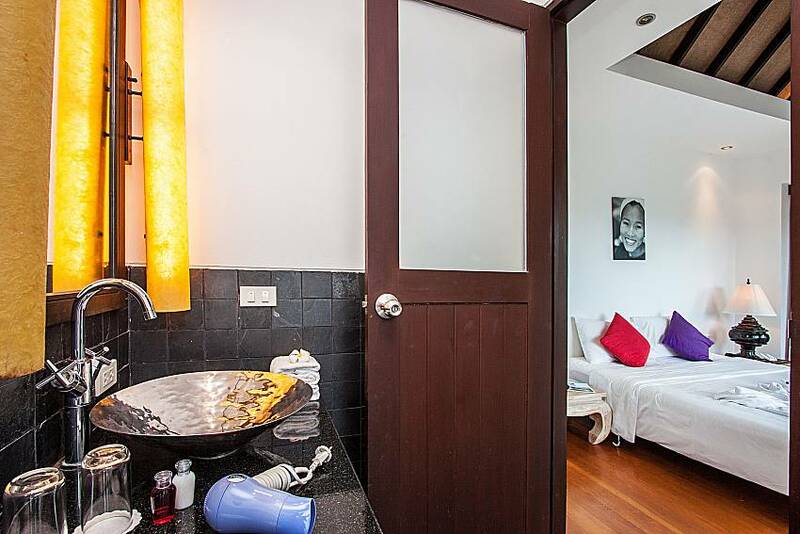 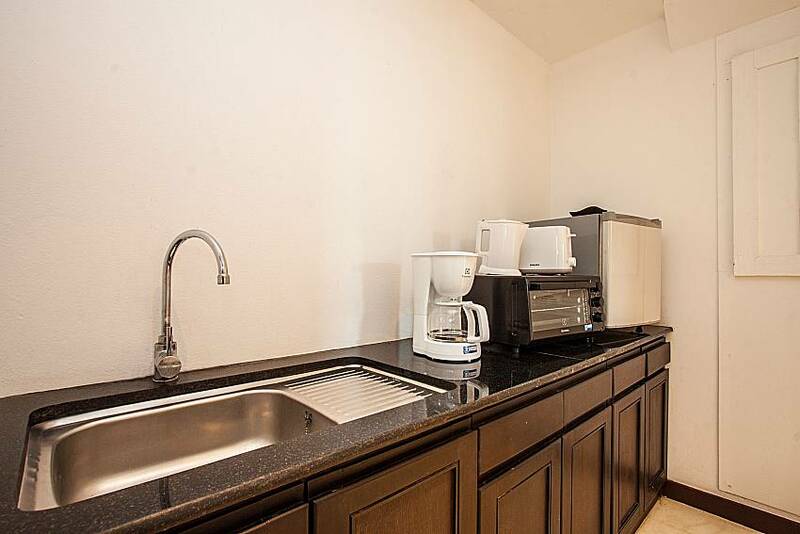 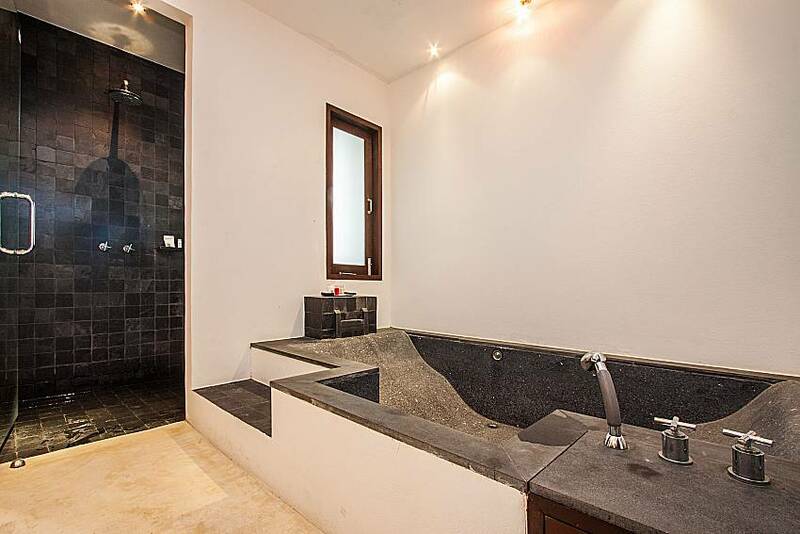 The ground level also comprises master bathroom with a shower and bathtub, as well as a kitchenette with sink, small oven, toaster, kettle, coffee maker and mini fridge. 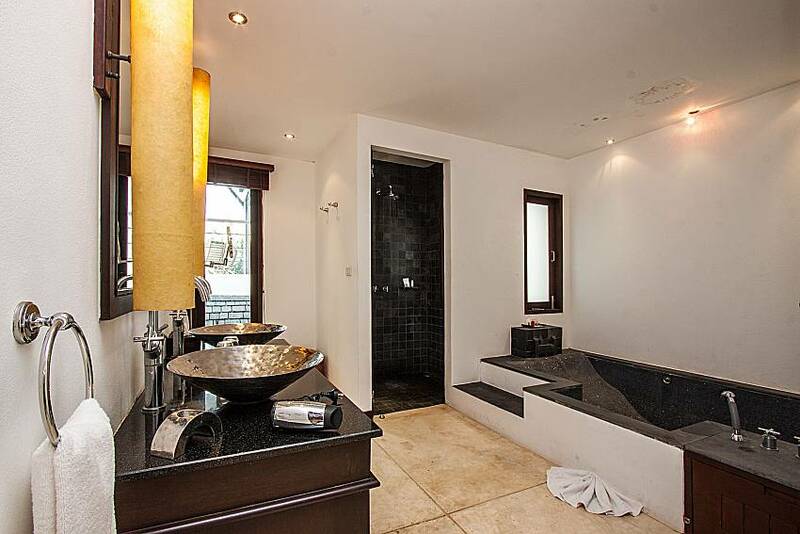 The 1st floor encompasses the second bedroom with a balcony and en suite bathroom. 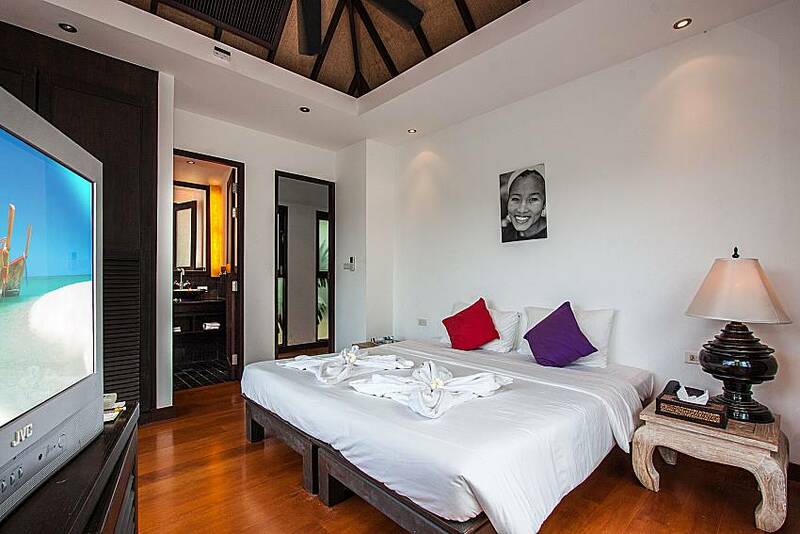 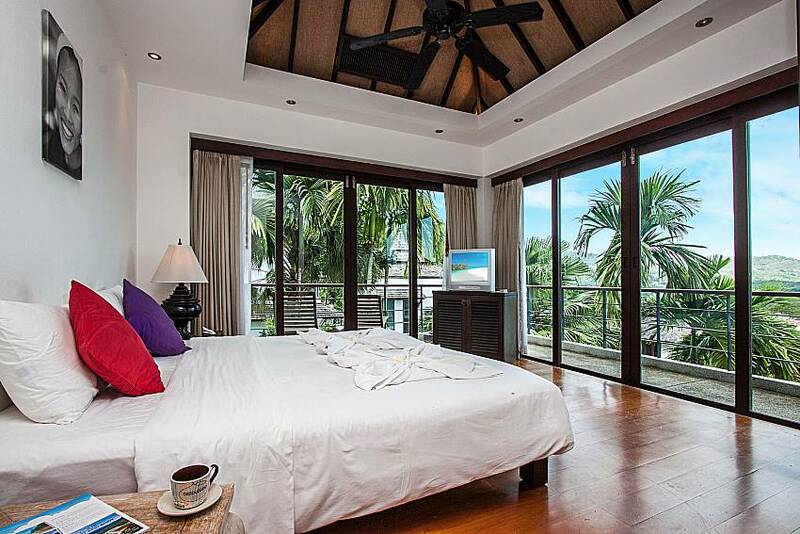 The room, all in glass, boasts a wonderful view over surrounding tropical vegetation. 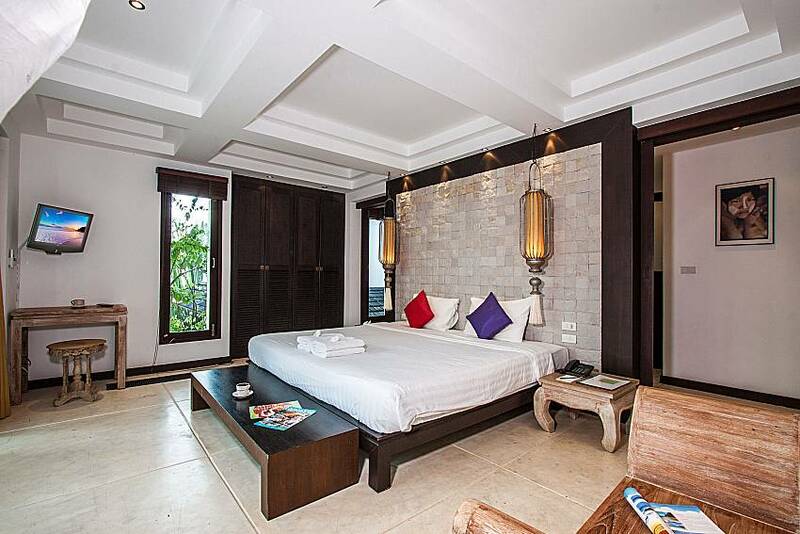 Like the master bedroom, it features a king size bed, closet with safety box and TV; additionally, the second bedroom also has a small fridge. 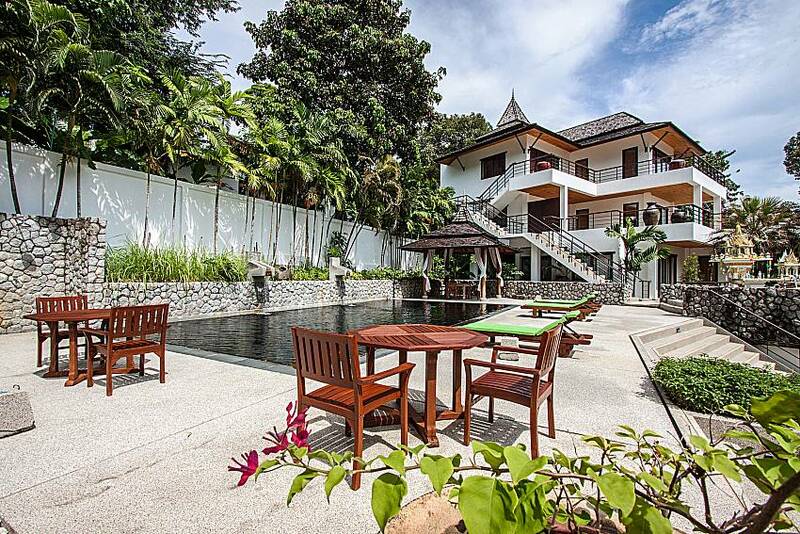 Kathu’s strength lies in its proximity to several areas of Phuket. 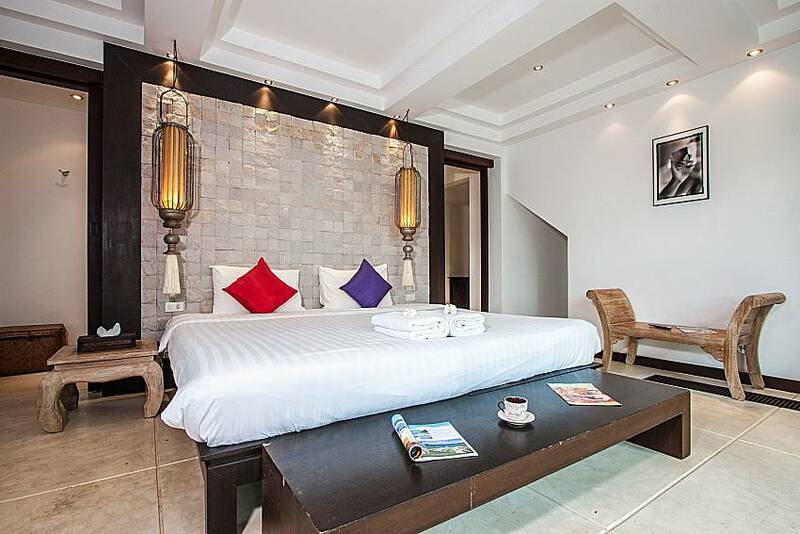 Visit old Phuket Town, about 11 km away, for your dose of history, culture and superb restaurants. 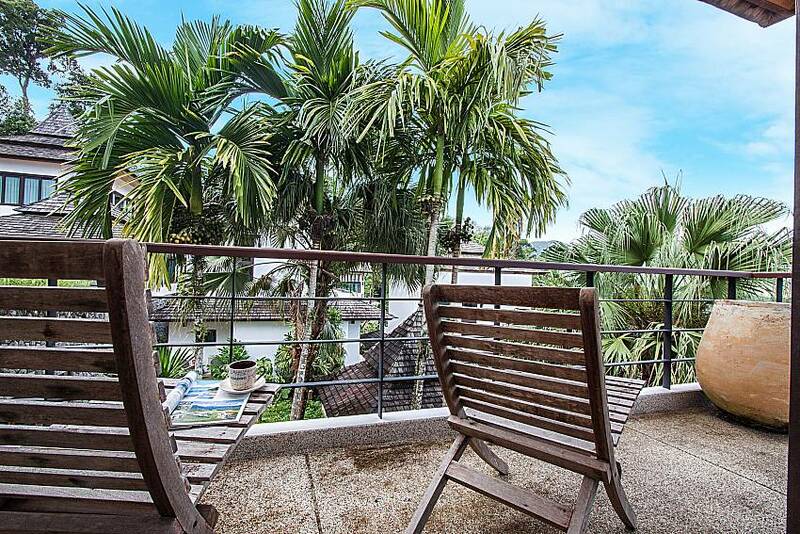 Patong, on the other hand, is 7 km away and offers a popular beach and endless shopping and nightlife. 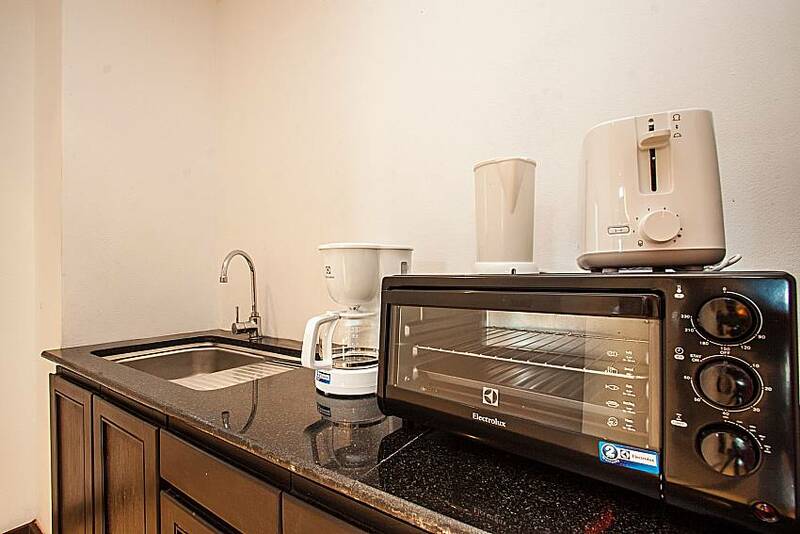 There are fantastic entertainment sites in the close proximity to the resort, such as Kathu Waterfall and a few golf courses. 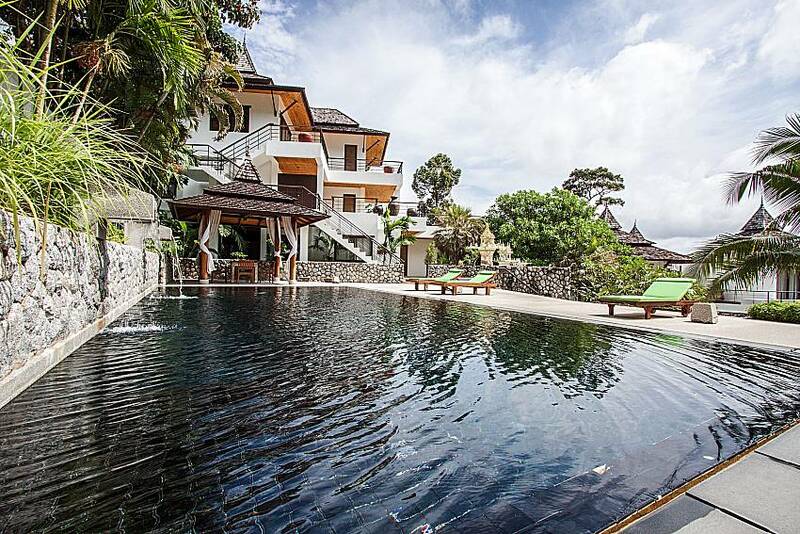 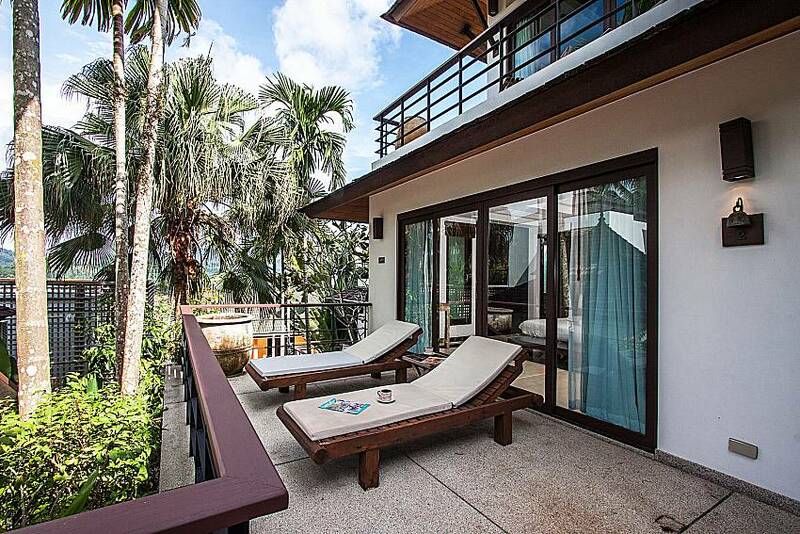 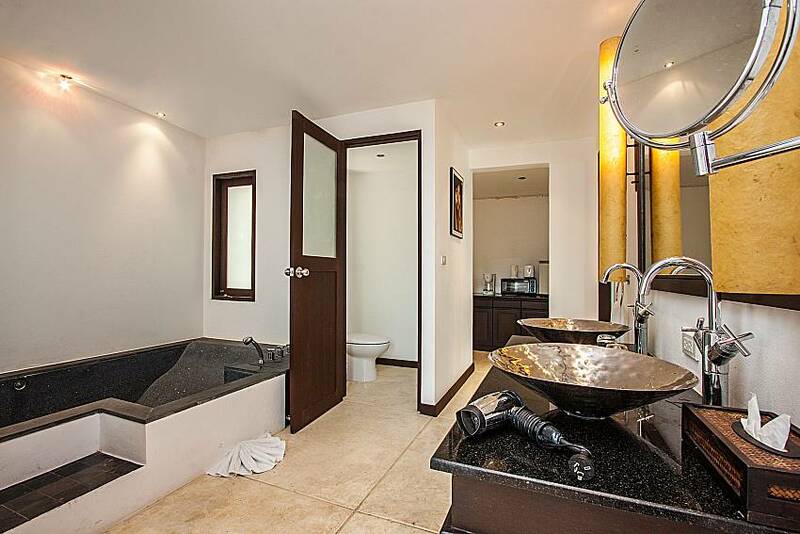 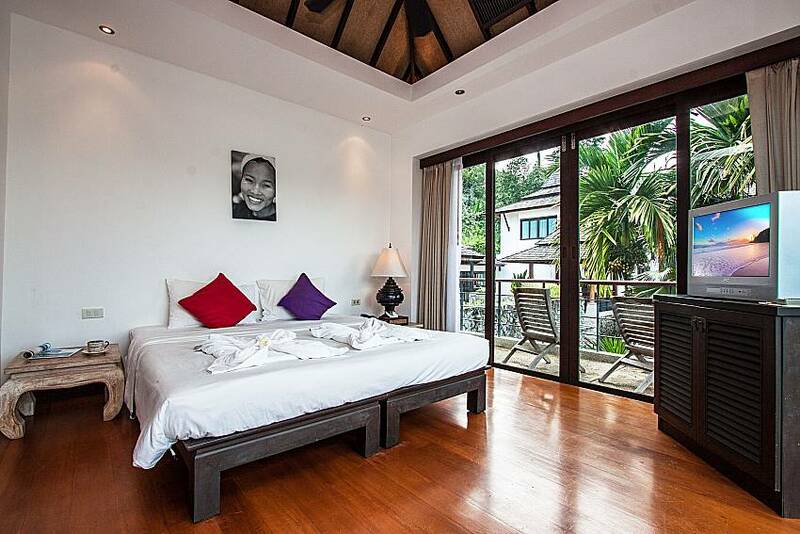 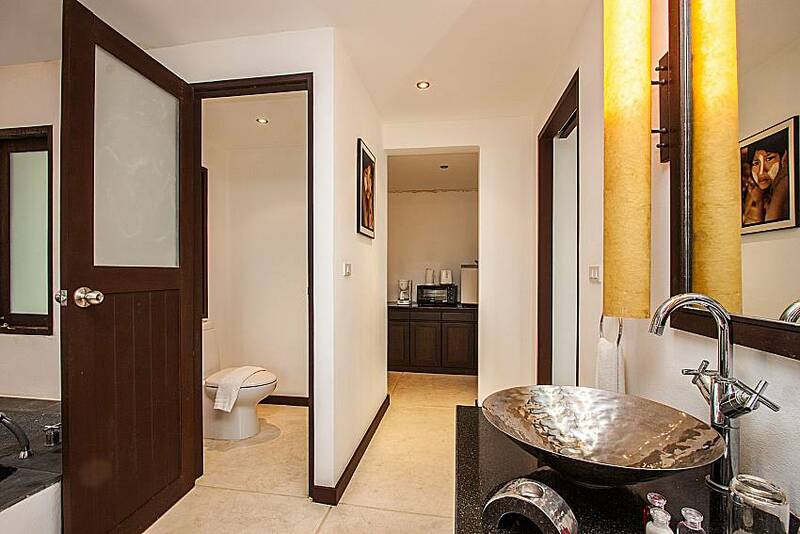 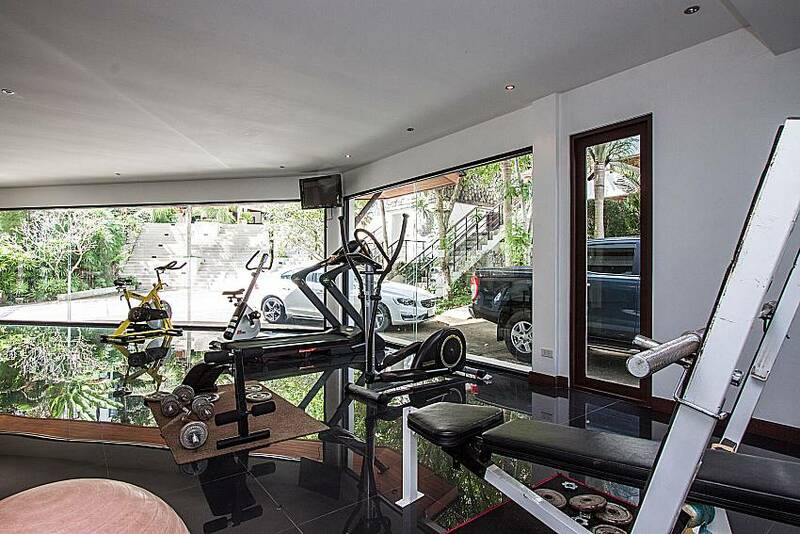 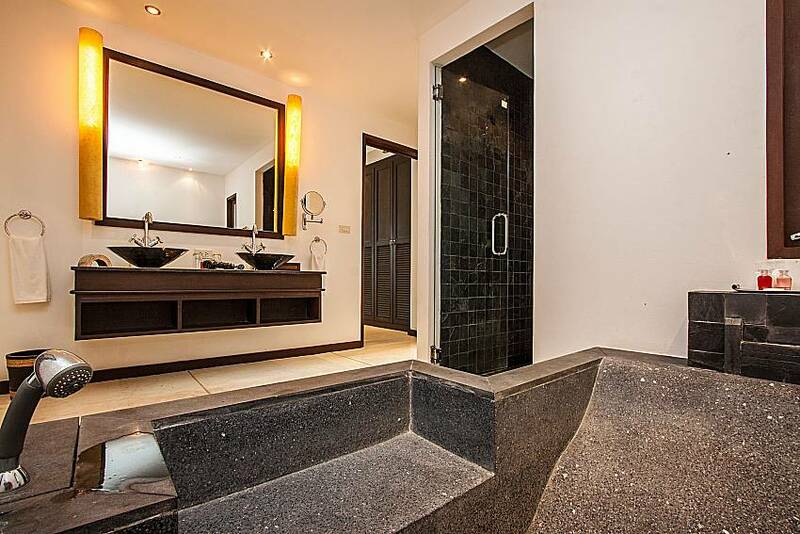 To browse more villas for rent in Phuket click here.